How do you get past friction in online meetings and get down to the real value of the problem being solved? Michael Santarcangelo specializes in working with IT organizations to get teams and projects unstuck. This interview covers a lot of territory, all around connecting and communicating, especially when virtual meetings and presentations are involved. Understand how the medium helps and hurts – when you should turn on your camera or not worry about it? You're the rockstar with a goal. We're the stage managers, backup band, lighting crew, roadies... you get the idea. 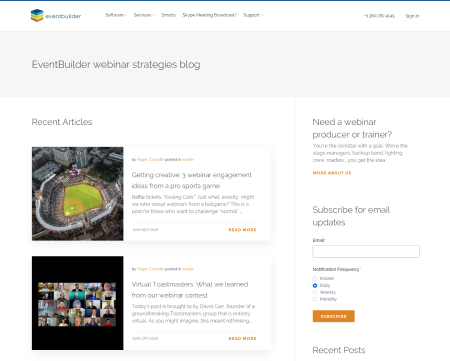 Stay up to date on the latest articles from the EventBuilder Team.